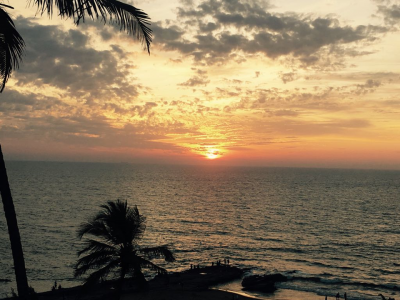 Goa – a place which has been on everyone’s list, at least for once. What can I write about it which has never been written before? For some Goa means freedom to do anything they want, or they don’t want others to know. For some it is about enjoying with friends; but for me, it was an experience to cherish, at least this time. 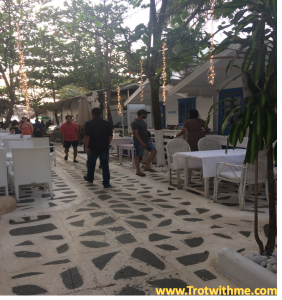 Last two times my travel to Goa was not that great in terms of exploring the place. This time it was different. 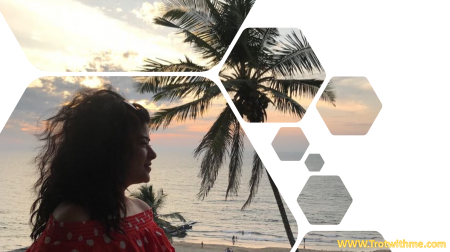 Goa has something to offer to each of its tourists and leave them with a bag full of delightful memories and experiences. Whether you are going there for the first time or have been there umpteen times, I would like to share a few places which you should not miss while you are there. 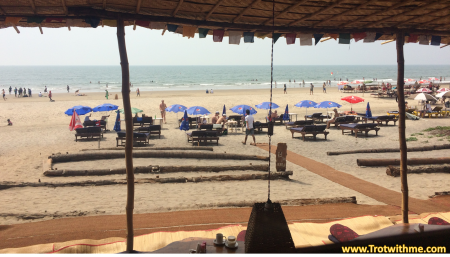 Like any other tourist destination, Goa also has its do’s and don’ts. I suggest you follow them and always move around in the company of your friends. Well, coming back to the topic, as soon as I landed, I hired a car and went straight to my Airbnb apartment which was located in Arpora between Bagha and Calangute. So, it was easy to access both sides of the town. I started my journey with a well-rested night so that I could enjoy my next day at leisure. 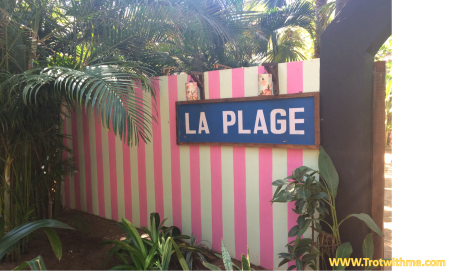 I went to La Plage Café located at Ashwem beach and is a delight for food lovers. 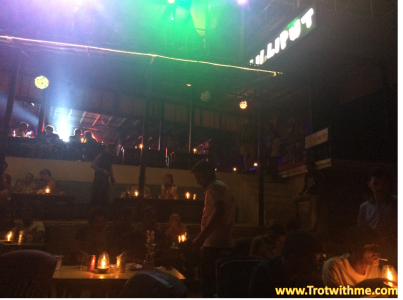 The portions were huge and the ambiance is aptly created for a lazy afternoon to enjoy your Beer. You can also take a walk at the beach and enjoy the sun. The place is known for its exquisite view, French food, and mesmerizing sunset. If you are looking for a cheap beach shack, you can skip this one. But if you want to enjoy the afternoon in a picture- postcard setting and finger licking food, this is your go-to place. 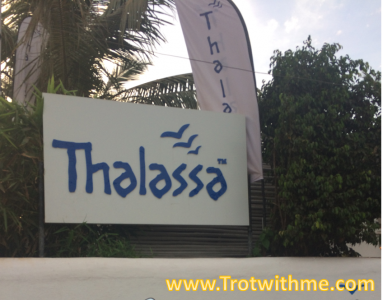 The next place is Thalassa. 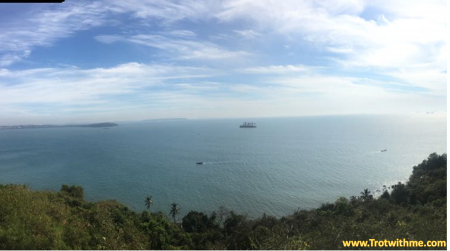 By far the most exquisite places I have been to in Goa. The white interiors are an immediate attraction for anyone. The best time to be there is just before the sunset and soak in the setting sun for an experience worth recalling. The place has its own charm after sunset and the dim lighting of candles all over the place call for a perfect romantic evening with your loved ones. 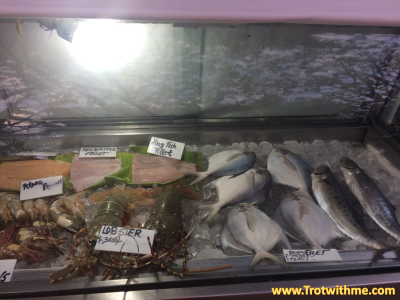 The menu is vast for seafood lovers and again this place is not cheap owning to its ambiance, location, and the crowd. After two days of expensive luncheons and dinners, we wanted to relax in typical Goan style. Our next place to be was Arambol. 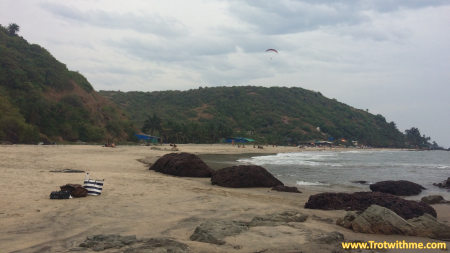 This beach is one the most sought-after beaches in Goa and yet it is beautiful so far. 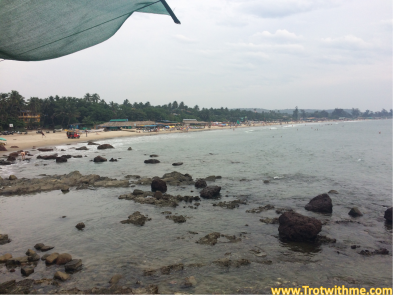 It has two other beaches in either side – Keri to the north and Mandrem to its south. 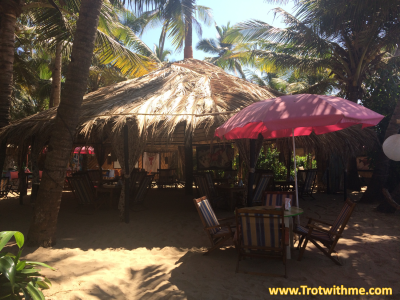 The beach is lined with shacks that serve alcohol and cheap but tasty food with huge portions. You can relax in the shacks with cushioned floor seating and enjoy your food watching the sea waves hitting the beach. Going further towards the north of Arambol is Keri. 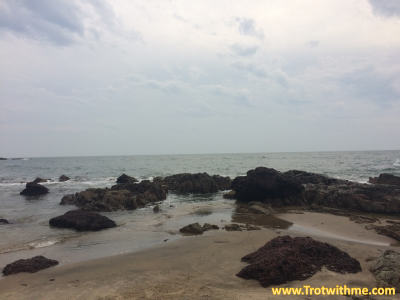 It is one of the most peaceful and serene beaches of Goa. Going further north after Arambol lies Keri. It is also known as Querim Beach. 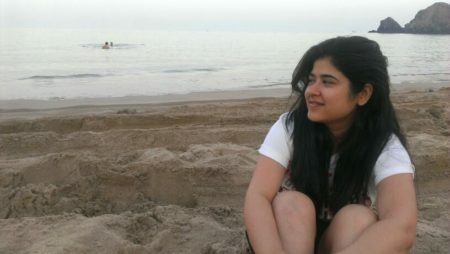 One can go there towards the end of the holiday to relax and enjoy the gushing sound of waves. 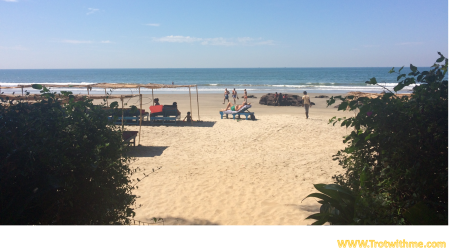 The beach is quiet and not explored much by tourists like other beaches in Goa. 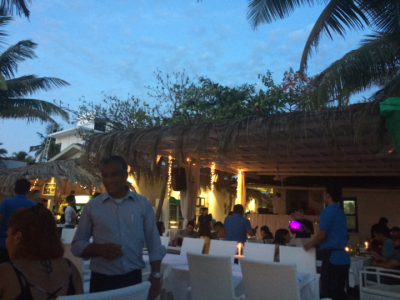 Located right on the beach, this bar and disco are well known for its music, beach seating area and drinks. The place is packed on weekends and you may have to wait for your table. 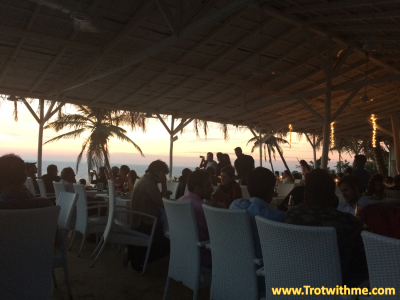 But once you are seated on the beachfront, enjoyment begins. You have the beach in front and blasting musing behind you. The dance floor is large enough to accommodate a huge crowd and there is room for everyone to shake a leg. Though there are cover charges on weekends. 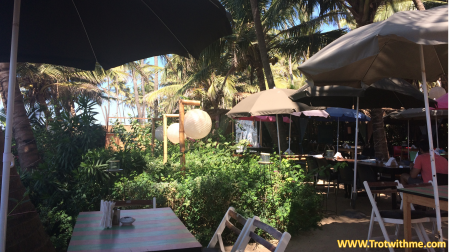 This was my list of favorite places in Goa during my last trip. I’m sure lot of you must have explored varied places in Goa and any recommendations are welcome for me to explore further! Admiring the time and effort you put into your site and in depth information you offer. It’s great to come across a blog every once in a while that isn’t the same outdated rehashed material. Excellent read! I’ve saved your site and I’m adding your RSS feeds to my Google account. Admiring the persistence you put into your site and detailed information you offer. It’s nice to come across a blog every once in a while that isn’t the same old rehashed information. Great read! I’ve bookmarked your site and I’m adding your RSS feeds to my Google account. Howdy! I simply wish to give an enormous thumbs up for the great data you’ve gotten here on this post. I will likely be coming again to your blog for extra soon.